How important are image audits for corporates and other organisations? How frequently should companies conduct image audits? Measurement of the gains and efficiency of any business function is an essential part of any modern management practice. 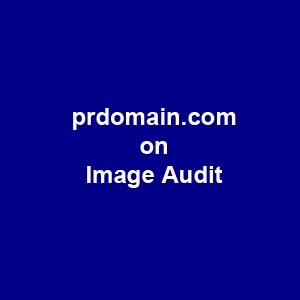 Image audits, or perception surveys, are one important way for companies to manage their reputations. No company would leave their sales or their R&D to chance; they would mange those key aspects of their business. In the same way, companies need to treat their reputation with the same attention and disciplined approach. Audits are a good tool for determining strengths and weaknesses and then building a communications programme in response. The frequency would depend somewhat on whether the company is undergoing a dramatic change or an ongoing controversy. How do you go about conducting image audits? There is a wide range of tools available, which are utilised by Ketchum to conduct image audits for its clients. These include employee-satisfaction surveys, customer-satisfaction surveys, community-relations research, media-content analysis and even incorporating rankings from external organisations like leading business publications. Sometimes these are conducted in-house, sometimes outsourced, depending on the needs and requirements of a particular programme. * (Drobis is the senior partner and chairman of Ketchum (www.ketchum.com), a top ten global public relations firm. He joined Ketchum in 1967 as an account executive in the firm's Pittsburgh office after working in government relations and community relations in the Washington, DC area, and in university relations at The American University in Washington.